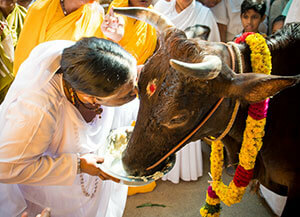 Today is Mattu Pongal, the third day of the Tamil New Year. 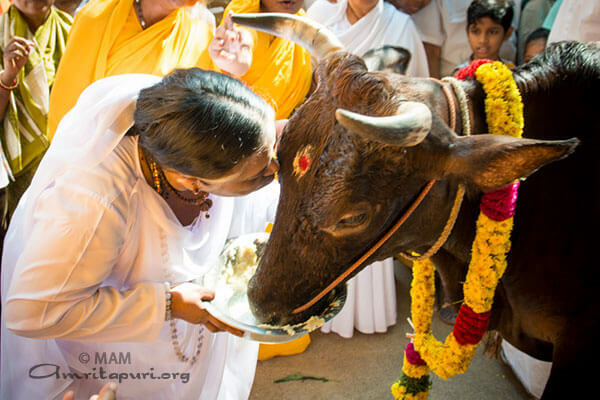 On this day, cows are worshiped as a visible form of God. They are celebrated for all the many ways that they help farmers and humanity as a whole. 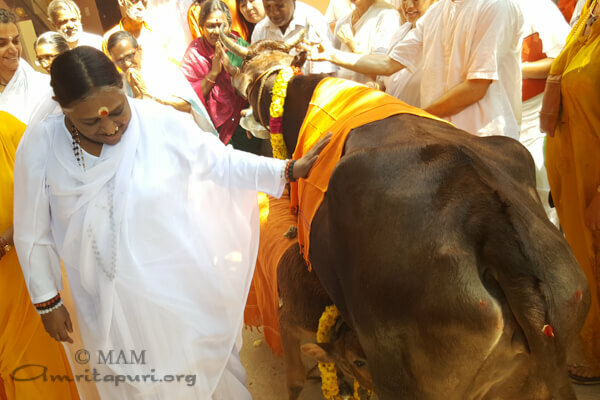 Today, as per tradition, Amma performed worship to one of the ashram cows. 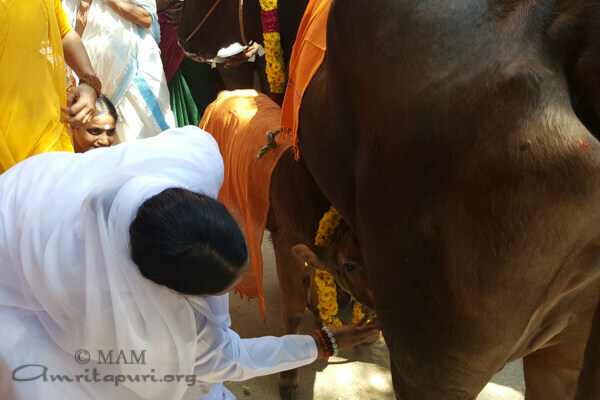 Amma fed and kissed the decorated cow and its calf. 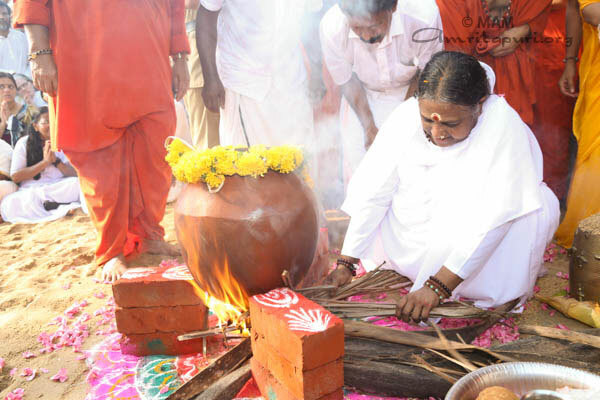 Amma always says that Creator and Creation are not two, but one – the Divine exists in and through all of Creation. 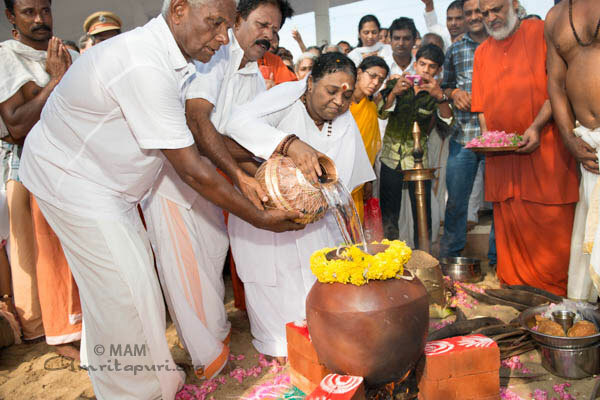 Mattu Pongal reminds us of this truth, and provides an opportunity for human beings to express their gratitude to Mother Nature for all her generous gifts to us. 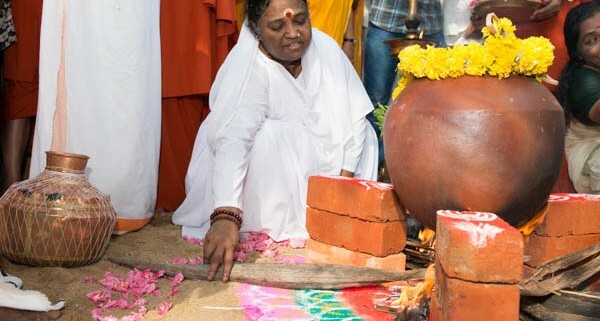 Yesterday before the sun rise ashramites gathered in front of the Kali Temple and in front of Amma’s room to prepare Pongal as an offering to the Sun God. 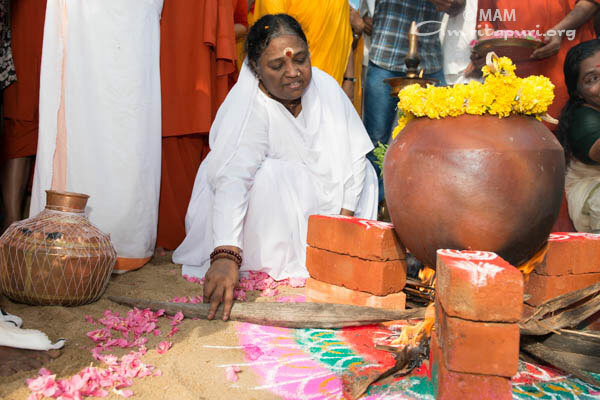 The Darshan stage and the portico before Amma’s room was decorated with flowers, sugarcanes and different mandala designs on the floor, proclaiming the celebration of Pongal.